A business owner of multiple Harcourts offices, and mentor to new agents, Alex Doucas has a wealth of knowledge from years of experience, and will always ensure that his clients needs are met. Alex has expertise in all areas of real estate, from helping first home buyers move into their first home through to working with builders market and sell multi-million dollar developments. Alex’s success is founded in his breadth of local knowledge having been a lifelong resident in the northern suburbs of Melbourne. This coupled with his honesty, determination, approachable manner and most importantly, his ability to get things done, allows Alex to consistently attain the best possible results for his clients. 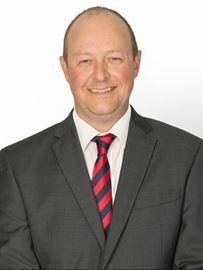 John’s experience in the Commercial Industrial sector commenced in 1998 where he worked as a Commercial Property Manager then moving to sales & leasing where he has been working with developers, builders, owner occupiers and large greenfield development sites. Deeply entrenched in the growth of the Northern suburbs John has been actively selling land to builder / developers and in more recent times been involved in the sale of some of the area’s most prominent building sites. Testament to John’s work ethic is the number of clients that he still deals with today that date back to his earliest days in his career. Raising a young family John’s interest include road cycling, mountain bike riding, surfing, snowboarding, golf and now actively involved in the hectic after school and weekend sports rounds. Robert Ozzimo learned the fundamental elements of Real Estate at a very young age. Coming from a family involved in the industry, he recalls attending his very first Auctions at the age of 4 and almost every weekend since then. Robert's intimate knowledge of his area is the result of growing up and living locally. Upon completing high school at St. Monicas College, Robert immediately obtained his Agents Representative certificate and began selling property. Robert is a firm believer in education, having obtained a Business degree as well as numerous certificates in Real Estate and Property, as Robert puts it: ‘learning helps me grow and improve the skills that I offer my clients’. As Director of Harcourts Epping, Robert’s focus is on providing clients who come into contact with his company an experience far above their expectations by offering an exceptional level of service unlike they have encountered before. A passionate Auctioneer, Robert enjoys nothing more than selling successfully under the hammer and achieving the very best results for his clients. He believes that for any relationship with his customers to be successful there must be an unconditional policy of honesty. "The best compliment that I can receive is a recommendation from my clients to their friends and family." If you would like to discuss how Robert can help with any of your real estate needs please feel free to contact him at any time. With over ten years of industry experience, Tony Lombardi has worked tirelessly to become one of the northern suburbs leading real estate agents and auctioneers. Highly focused, perceptive and persistent, Tony is an accomplished relationship builder, ensuring that his clients are always provided with the best customer service and ongoing advice and support. Tony is one of the youngest directors in Harcourts Real Estate, which is a true indication of his determination and drive for excellence. As a successful auctioneer, he strives to reach the best results in each and every transaction, whether in a competitive auction situation, or with pre and post negotiations. Having grown up in the north, Tony has an intimate knowledge of the area, and its wide range of property styles. His familiarity with the building industry, coupled with his extensive network of builders and developers has allowed Tony to adopt a full understanding of the processes involved in working with all development projects, enabling him to provide sound knowledge and advice. A one-eyed Hawthorn supporter, Tony’s passion for AFL is a reflection of his passion for real estate. Supported by an award winning team, he provides an unparalleled quality of service that is second to none. Since beginning his real estate career in 2004 Ali has gained a vast knowledge of the Melbourne real estate market that enables him to provide exceptional service to his clients, bringing with him a wealth of knowledge and experience of the real estate industry specialising in commercial property management and has always built strong and lasting relationships with his clients. 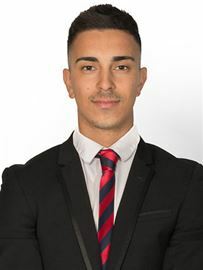 Ali is a licenced estate agent having completed his Certificate III in Real Estate at RMIT and gaining his real estate license from Australian School of Business & Law. Belinda has been working in Real Estate Administration for nearly 12 years. She has worked behind the scenes for one of the areas award winning Real Estate offices in Victoria for most of this time. She has also completed her Agents Representative course in order to build her knowledge to gain a better understanding of how to best service the office clients. With a background in Finance and Client Relationship management before starting in Real Estate, she is dedicated to supporting all staff and their clients, to ensure all transactions with our office go as seamlessly as possible. Nicole's commitment to service is backed by a long career in sales and hospitality. After running her own business for ten years, she is aware of and fully understands the need for patience, honesty and integrity when providing exceptional customer service. Using her extensive knowledge of desktop programs and computer systems, she is able to effectively support the Harcourts team and ensure everything behind the scenes is running smoothly, so that each client receives a higher level of service.